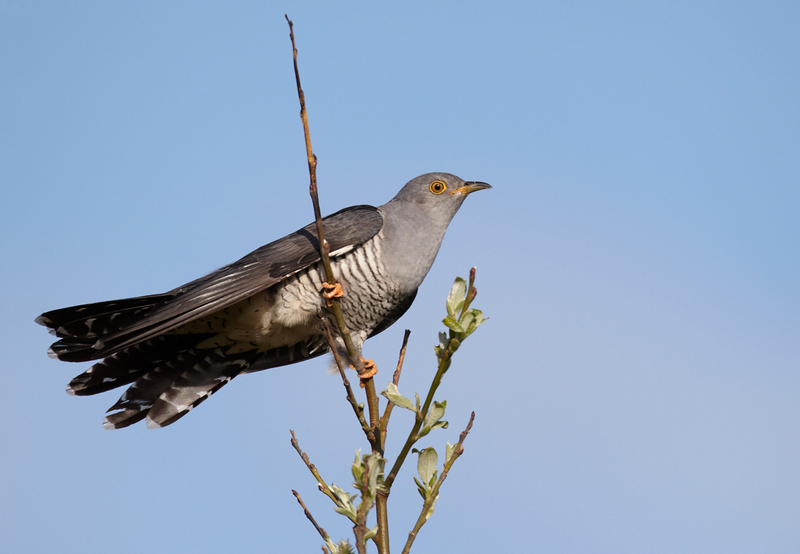 On the first day of April, and right on cue, we heard the first Cuckoo of the year. Then, on the way back from coffee a swallow swooped over us and out across the valley. So we are now certain that spring has arrived. Later, I was delighted to see two wood pigeons building a nest in one of the fir trees surrounding the villa. I just love that sound; doo-do0 doo doo-doo, doo-doo doo doo-doo. I rushed into the kitchen and found my man, “We are going to have babies!” I announced. “I bloody well hope not, not at our age…! He groaned. “No, no, baby wood pigeons silly!” “Oh, of course, how did I not guess the first time, baby wood pigeons…” he sighed. 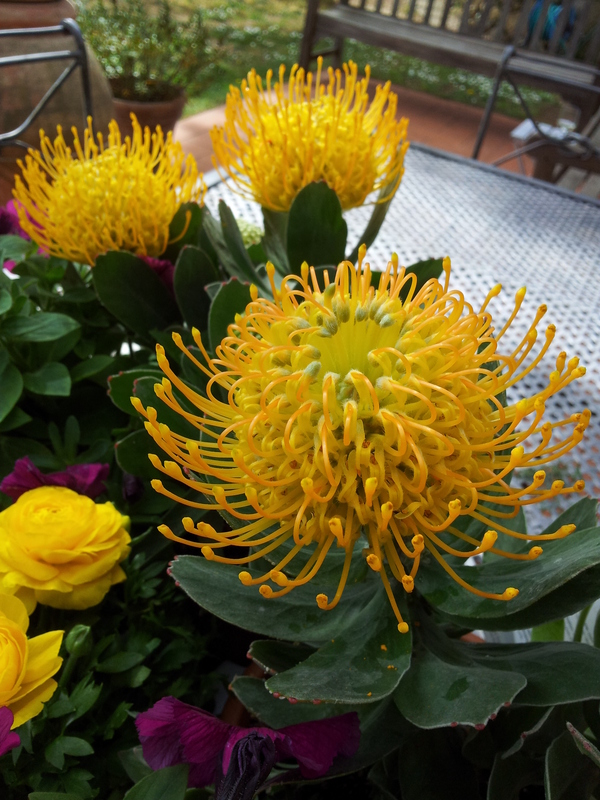 The stunning Copper Carnival, one of our new garden plants. Despite the weather warnings from the farmers, we have bought more plants for the garden pots at the market in Certaldo. Our lovely plant lady popped in some freebies as well, as we are such good customers. By next weekend we will be very ship-shape and ready to show off the garden in all its potted glory. Farty Barty preening after his visit to the vet. vet said, oh, but he’s not due for a jab until May. “You’ve got your Marzo’s and Maggio’s confused again,” my man groaned on the way home. “And that swelling is no worse than ones he’s had before and we just got charged 30 euros for the visit!” Then we went to the farmacia (chemist) for the antibiotics and they cost another 13,50 euros. Meanwhile, Barty has disappeared without trace. 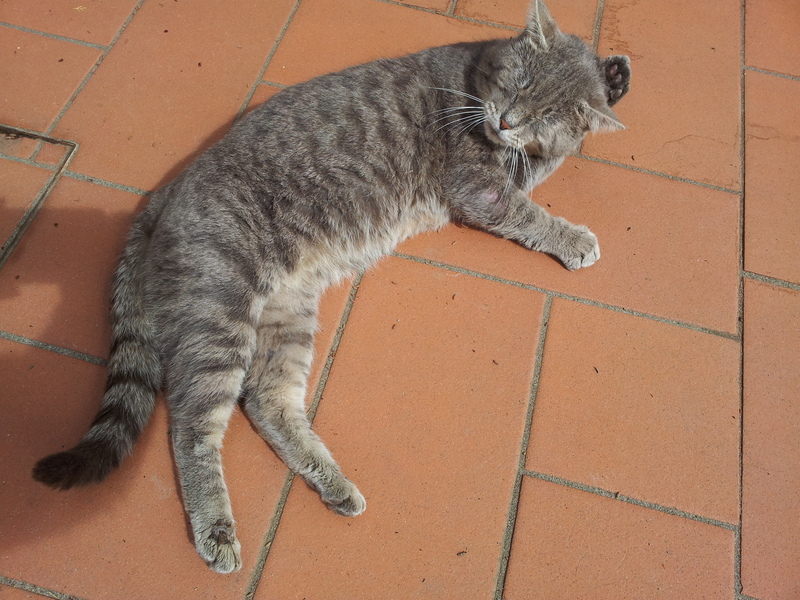 If you spot a grey tiger cat, who swaggers like John Wayne, let me know. Back in our local village of Fiano, Paolo from ‘C’era una Volta restaurant’ waltzed in to the bar (yes he has a funny sort of dancing walk) to buy his bread, looking very bronzatta after ten days lying on a beach somewhere in the Indian Ocean. We are glad to see him back, as we have taken to having Sunday lunch there of late. On Wednesday the Sister and Niece returned to England and were disappointed to have found him closed when they were here. Chapter two; Joanna, our heroine, is relaxing in her farmhouse garden in Devonshire with a glass of Pinot Grigio and her black Labrador Dippy….. So I’m off to have an aperitivo in the little bit of sunshine that is peaking through the heavy clouds. Have a great week and I’ll update you on the continuing adventures of Silvio B, next time. I think we have a wood pigeon in the field across from us as I heard it thudding the other morning, I love the sound. Thank you for your reply BI, it’s always nice to hear from you. Yes, the doo, doo of the wood pidgeon is one of my favourite sounds, you just can imagine the conversation they are having. Barty is his own man and lives the life of a gypsy, knowing he can drop in on us whenever he chooses; eat, sleep in a comfy chair and go off for long visits to his other friends. That sounds like a perfect life for a cat, he is living the dream!